for over more than 50 years. with over 30.000 square metres. 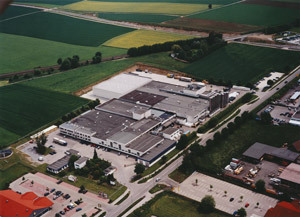 Producing plastic products of impeccable quality is the core competence of Ritter GmbH. The company specialises in complete solutions and matches individual components perfectly to each other. Ritter works closely with its customers, focusses on their needs and the requirements of every specific application. 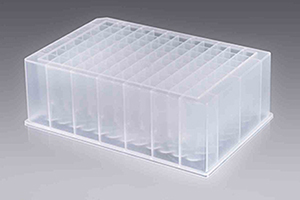 With success: Ritter manufactures cartridges for sealants and adhesives, highly sensitive instruments for use in clinics and laboratories as well as stabilising grids for external areas worldwide. Innovation is the key to the success of this company that was founded in 1965 and is located in Schwabmünchen, Bavaria. With high-precision products, flexibility and high cost-efficiency, Ritter redefines the plastic injection moulding business time and again. Proof of this is the number of patents the company holds. 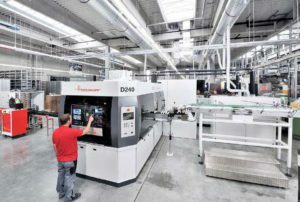 On 25,000 m2, over 300 employees fulfil consistently high quality standards with first-class plastic products. Ritter GmbH is certified in accordance with ISO 9001 / EN ISO 13485 / ISO 50001. For more information see certificates in the download area. Ritter stands for perfection in mass production. With top performance and reliability, Ritter provides consistent high-quality. 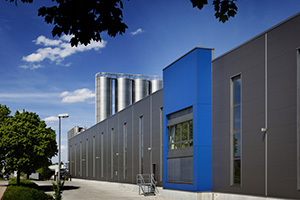 In addition to this, the company is characterised by its expertise in development and project work: the experts at Ritter provide their experience and know-how as a service to their customers and clients and, through professional interchange and close collaboration, develop customised products for specific applications. Their own tool-making facilities, the most modern manufacturing technology and know-how result in the highest precision. 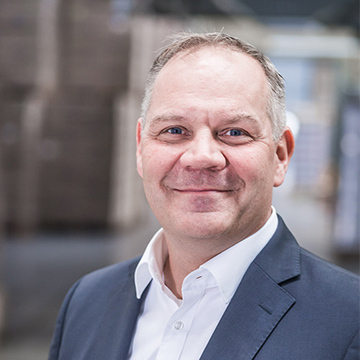 Both efficient concepts for logistics and just-in-time solutions speed up processes and meet the customers’ needs in terms of low warehouse stock and short delivery cycles. Cross-company collaboration prevents bullwhip effects and lowers storage and administration costs. Ritter was the first manufacturer to introduce digital printing on cartridges and, for this, Ritter has an in-house graphic design department to support its clients. This high-resolution process not only suits small lots exceptionally well, it is also excellent for accurate, photorealistic, distinctive and personalised decor. Unlike screen printing, there is no need here for a printing forme, so the range and flexibility of decors are almost endless. A positive side-effect: needs-based small quantities make a significant contribution to protecting the environment. This allows Ritter to follow its own sustainability standards. 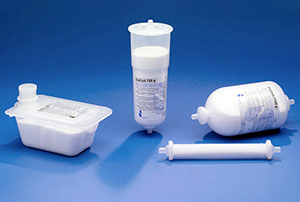 Ritter only uses tested, non-toxic plastics. In this respect, only materials are used which can consistantly be conducted to Circular Economy. Besides recyclable and re-usable plastics, Ritter also focuses on biobased, biodegradable and compostable materials. Own production wastes are upgraded and reused. Ritter is working on a consequent weight reduction of the products in order to flatten general consumption of plastics. The new Ritter production plant has an energy control system that covers all aspects. It controls and regulates the lighting, ventilation and heating completely automatically and ensures maximum energy savings. This innovation was awarded the LEW Innovation Prize 2013 by the utility company, Lechwerke. Ritter produces its own electricity from a 700kWp photovoltaic system and can both warm and cool the whole production site with the waste heat from a 2mW cogeneration unit. With closed cooling circuits, the problem of waste water is avoided. World premiere for pallets: plastic legs (so-called Distanzzylinder). It is standard for a square block of timber to keep the two decks of an Europallet apart. In damp environments, such as in breweries, these wooden blocks disintegrate. Lifestyle of the 70s: photography and Super 8 films are very popular in the 70s. Ritter takes care of order in the archives: with slide frames, Super 8 boxes and other accessories. The first 1K cartridges run off the production line. A short time later, Ritter expands its product palette with 2K cartridges that have various mixing values. A perfectly matching range of parts, such as piston systems and nozzles are part of this from the start. 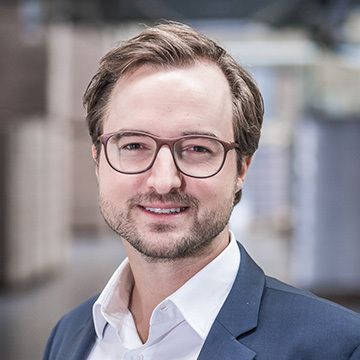 New business unit: Medical Care – Ritter develops a system for taking blood that allows for the first time several syringes to be adapted to one cannula. Ritter develops ink cartridges – an innovative packaging system for offset-printing machinery replacing method of colour-tins. New business unit: Landscaping – Outdoor areas, stabilised with open-pored high-quality, hard-wearing plastic grids. Different versions and filling options offer diverse applications. 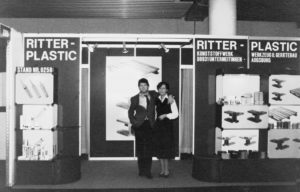 Even at that time Ritter set a course on recycling and high sustainability in production of plastics. Ritter relocates: Schwabmünchen becomes the company’s new location and is successively developed and extended. Production start of well-plates for laboratory, analysis and robot systems. Since 2000 Ritter produces cartridge systems for haemodialysis on basis of an exclusive partnership for Messrs. Serumwerk Bernburg AG. 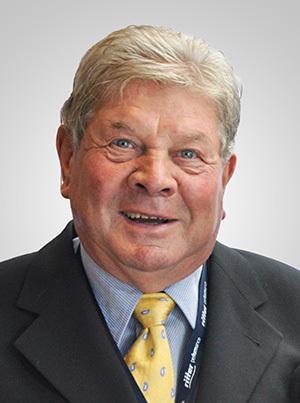 A change of generation in the family-run company: Ralf and Frank Ritter follow in their father’s footsteps and have been running the family business since then as CEO. Expansion warehousing and logistic facilities amounting 2.800 m2. 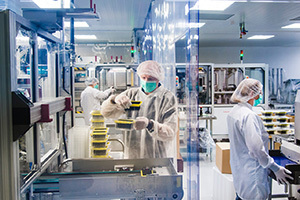 Extension of business unit ‚Medical Care‘ as per ISO-Certification 13485 and upgrading of cleanroom capacities for medical injection moulded pieces and assembling. Expansion of production site amounting 6.000 m2. Amplification of silo installation and capacity – Ritter invests in supply security to the customers. 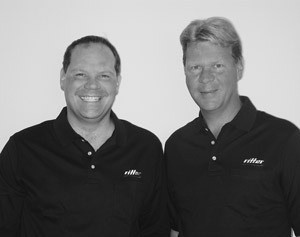 World premiere: Ritter is printing cartridges by digital printing technology. Product design ‚Gravel Grid‘ – business unit Landscaping. Perfect pleasure by small capsules: Ritter makes a statement for the environment with biodegradable capsules for delicious coffee. 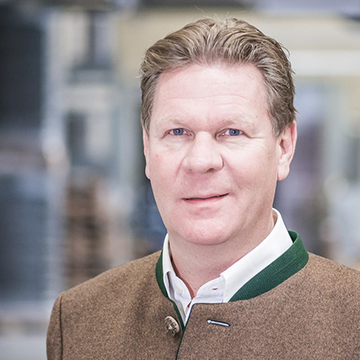 As one of the first companies, Ritter develops a coffee capsule system compatible to Nespresso entering the market in cooperation with a Bavarian traditional coffee-roaster. Expansion of digital printing capacity. New construction of an additional production unit (4.200 m2) and upgrading of clean room capacity.